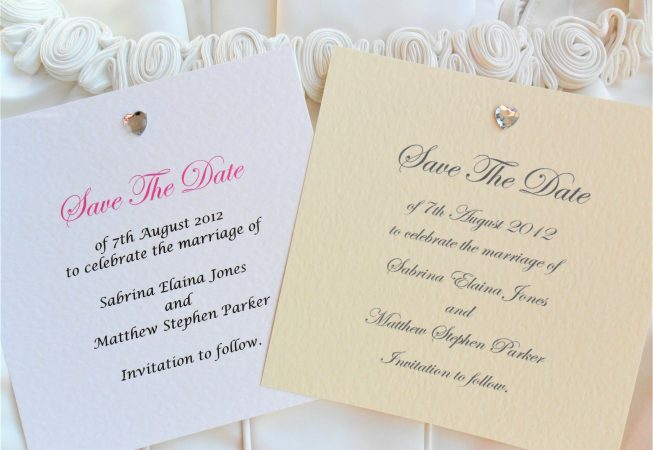 Send out Save The Date Cards to announce your wedding. 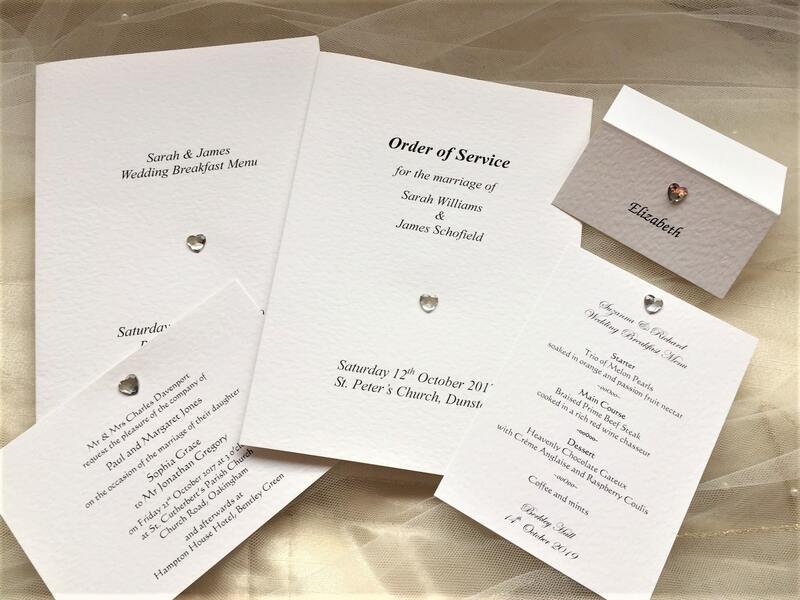 Our Square Diamante Heart Save The Date Cards are printed on a top quality thick heavy weight (270gsm) hammered card and are available in white or ivory coloured card. 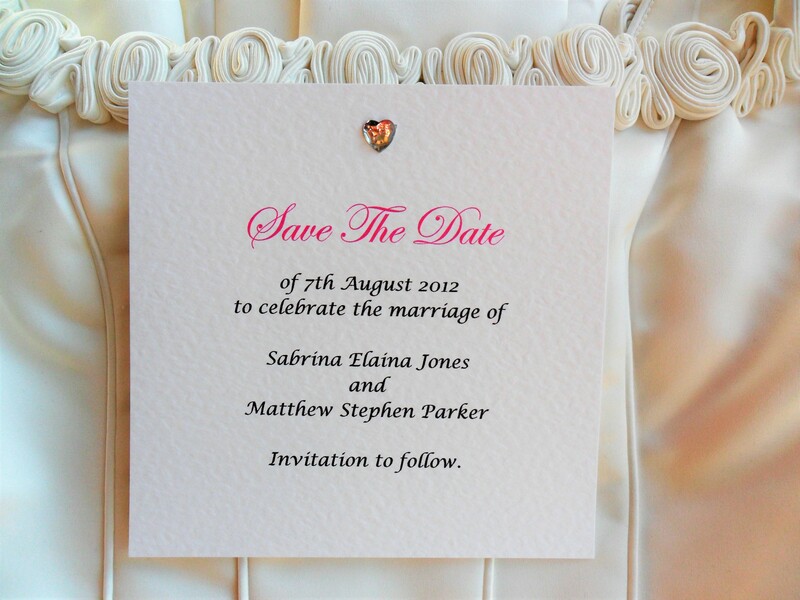 Choose your card colour and font choice and colour from tabs above. 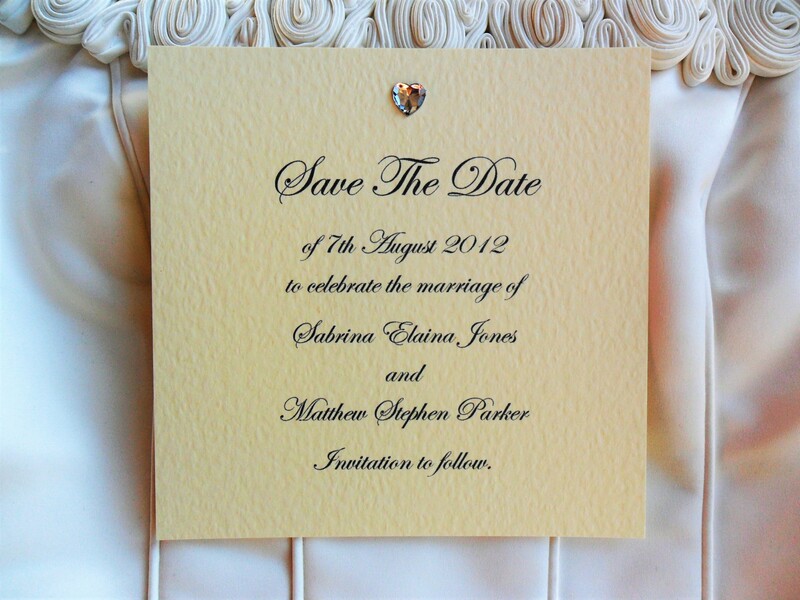 We can print the text on the save the date card in any colour to match a theme. 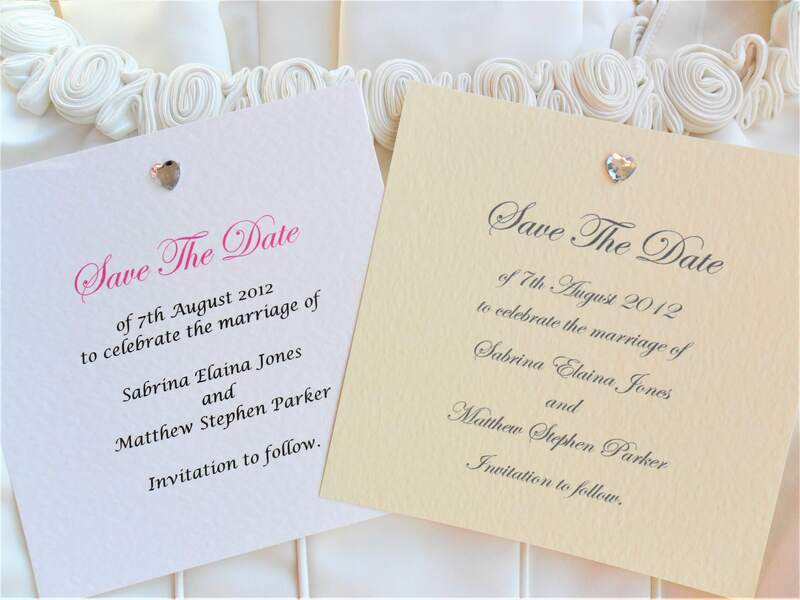 This fabulous save the date card is part of our Diamante Heart Wedding Stationery Range.